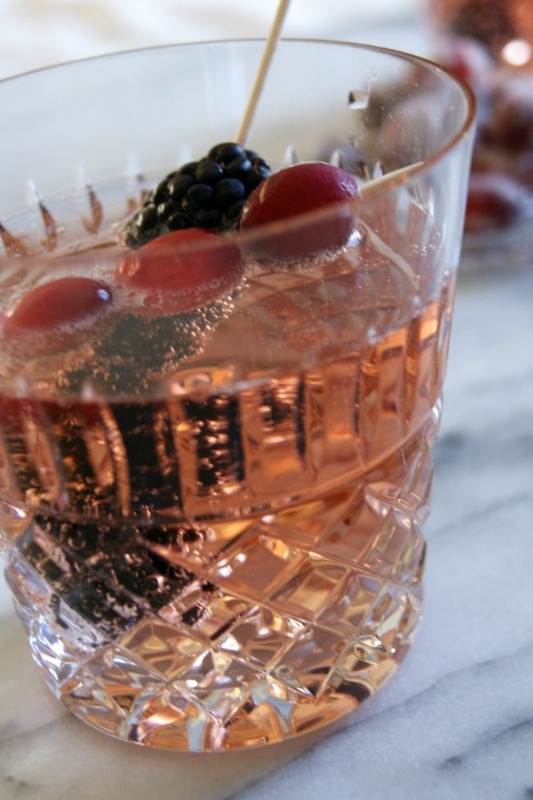 To make it, mix equal parts of prosecco (or cava, or champagne…) and ginger ale, then add a splash of black raspberry liqueur (like Chambord) to taste. 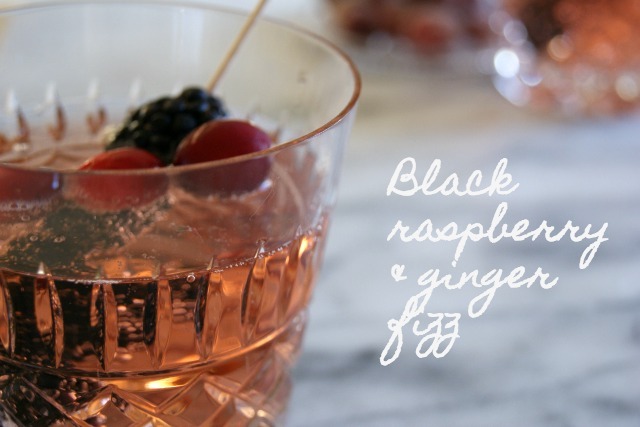 The black raspberry gives it a fruity touch and you can add as much or as little as you like for sweetness. I only put a little in as I like to get the fruitiness but without it being overly sweet. I also like to add frozen blackberries and cranberries to keep it cool, plus you get to eat the boozy fruit at the end. As always, I love reading your comments. Do you have a favourite cocktail for New Years eve?